Hemlock Public School District Board of Education regularly honors individuals or groups for outstanding work and/or contributions to student success. This past month was no different. The Board of Education held their November meeting and elected to honor retired business official Julie Zill. Superintendent Killingbeck nominated Zill for her unwavering support and dedication to the district on our mission and vision. She graciously accepted the honor in the presence of support staff, teachers, administrators, students, and community members who were in attendance at the board meeting. 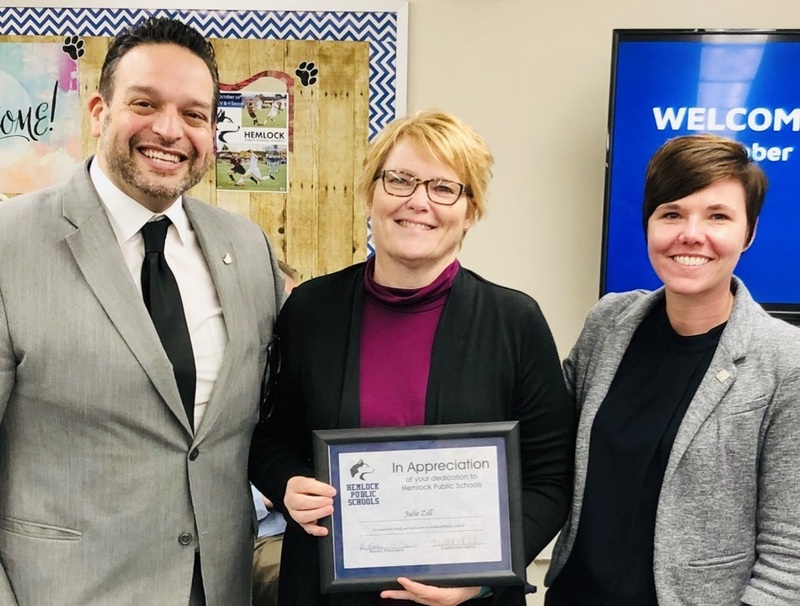 The business operations continue to strive and support the district’s mission and vision in part to the legacy and footprint left by Julie Zill.